Welcome to the fairy tale world of the 21st century! A place so picturesque and magical, which makes it hard to believe it endured so many eras. Where buildings are not just buildings but rather mesmerizing artworks of the Baroque time. Where a bridge is not just a bridge but rather a mass meeting point. Where many famous poets and musicians were inspired and blessed with beautiful talent. A city that contains more nature than concrete. A place that gathers all cultures in the world and makes them feel home in a special way. 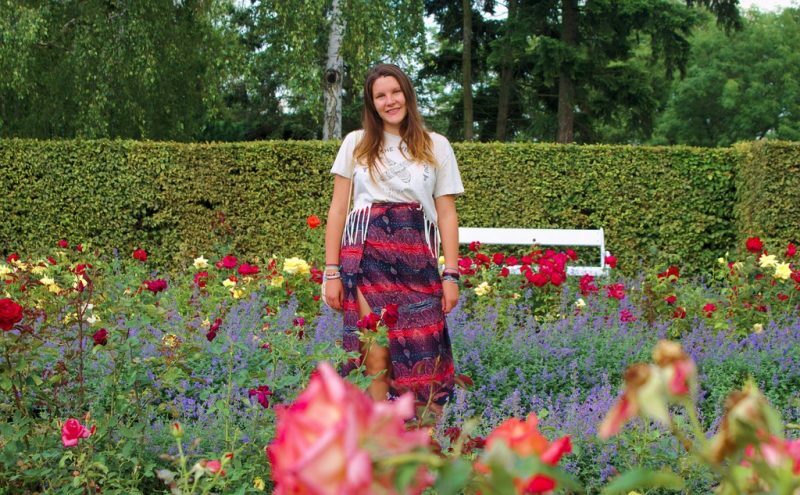 Welcome to the Wonderland of Central Europe. 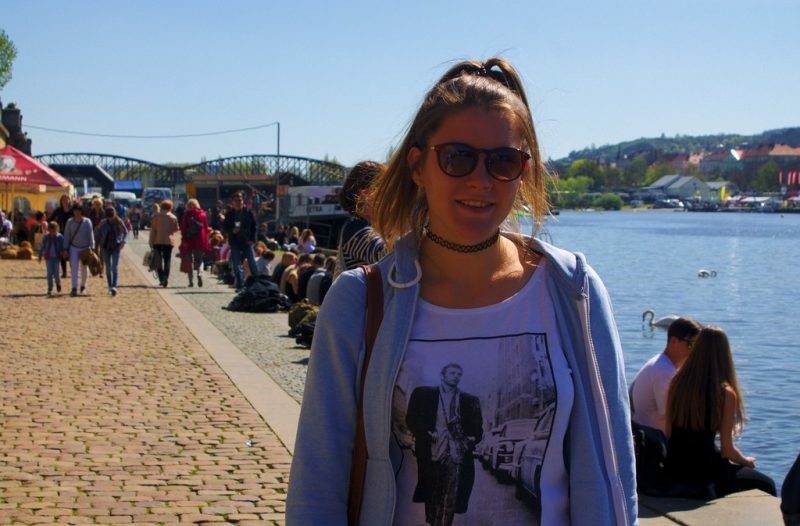 Let me introduce you to Prague, the capital of Czech Republic. We don’t have a favorite Czech restaurant, but the prices listed here show average prices for certain typical Czech dishes. These price recommendations should help you to find affordable places to try local food. Here is a good article on how to avoid restaurants that appear to be tourist traps. For more information on the dishes read this Czech Food Guide or our friend’s tips of tasty local dishes. Do you seek magic when you travel? Places that seem to be out of this world? 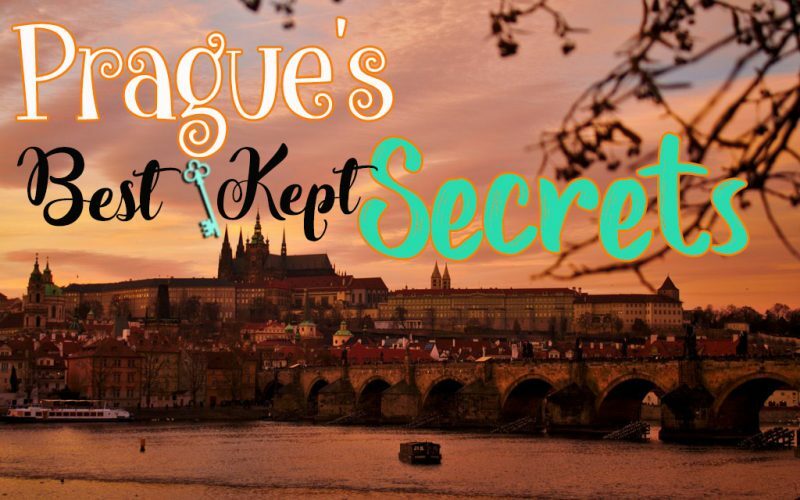 If so, here is our list of Prague’s best kept secrets. If you want to have Letná to yourself, you have to get there very early. Luckily, we arrived in Prague so early that we were completely alone. Not one single human crossed our way. Although it was a quite freezing morning, our endurance got paid off. We witnessed a colorful sunrise above the old town. 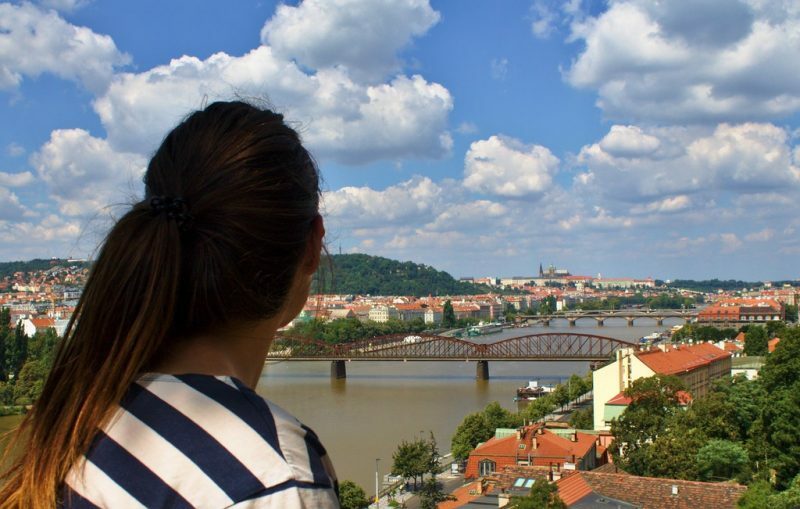 While you can catch classical views of Prague from Letná or the castle, Vyšehrad offers a totally different angle of the city. Especially this viewpoint is less crowded and free of segways. It’s the best alternative for those who seek a hidden almost tourist-free spot. 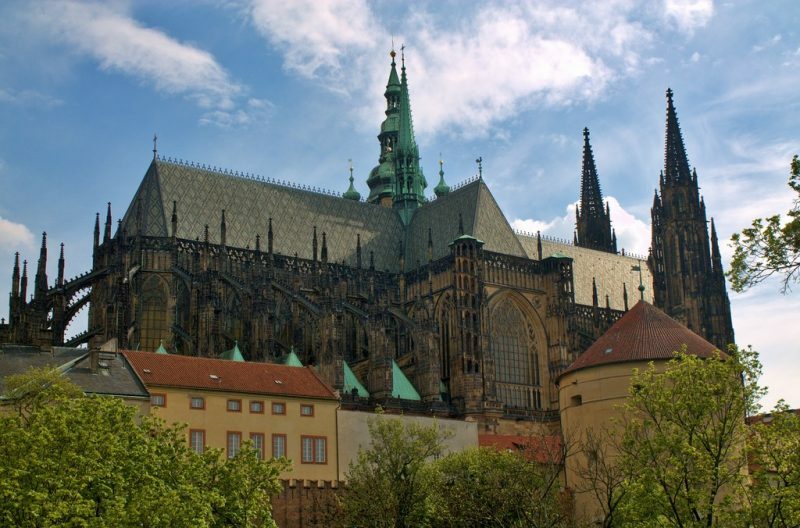 Also, it’s the less frequently visited castle of Prague. From far away you can just see a cathedral on top of a green hill. It’s the Church of the saints Peter and Paul. Once you make your way up there, you’ll be surprised by how big the square really is. You can walk around the whole hill and stop for a view wherever you want. Enjoy the 360-degree view! More information on Vyšehrad can be found in this detailed article. 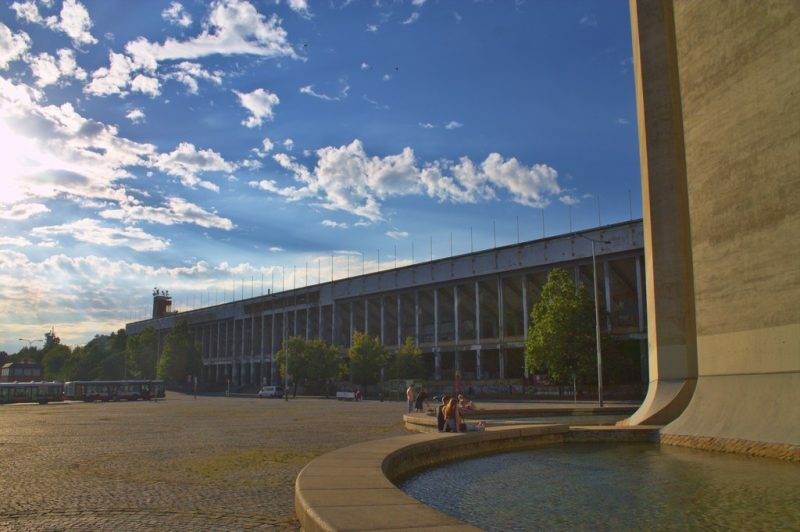 Stadium Strahov is located on Strahov hill and holds the title of the largest stadium in the world. Nowadays it’s not used anymore to hold sport events but rather concerts. The future of the gigantic stadium remains uncertain. Right now it looks abandoned and neglected. Hopefully the ancient complex, dating back to 1926, will find an appropriate investor soon. The UNCESCO world heritage has more to offer than just a typical castle building. Indeed, the castle is just one part of a wide complex including royal houses, gardens, a deer moat and many different lanes. Apart from the castle building itself, the rest of the complex is free of charge. Are you curious? Here is a Complete Visitor’s Guide. A wall that changes permanently like the thoughts and ideas of the people passing by. Everybody can leave a statement, a lyric, a poem, a quote. This variety makes the colorful wall a worth seeing piece of arts. 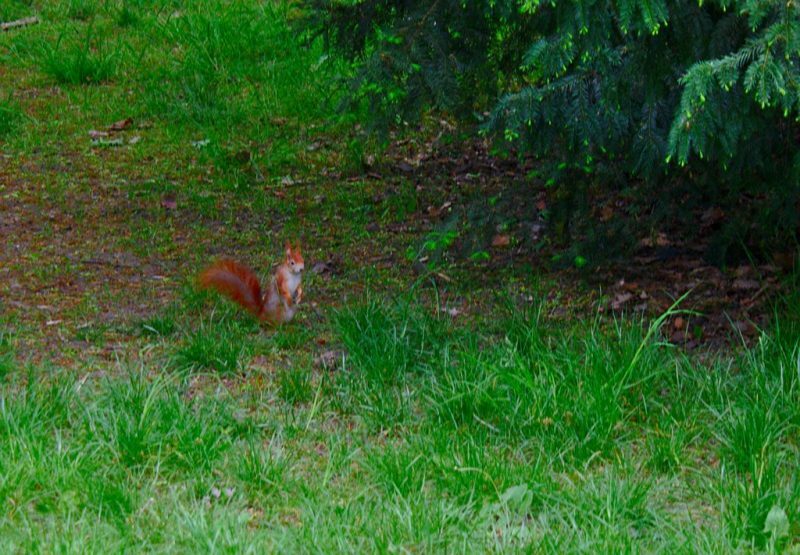 There are many squirrels in the parks and forests in Prague. Especially in Letná. Pay attention to the top of the trees and get enchanted by those cute little creatures. 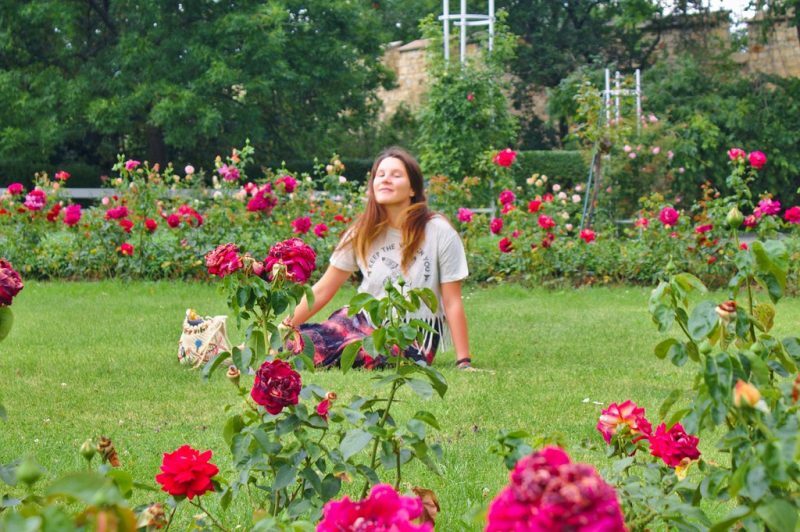 We couldn’t believe how much fruit is growing around Prague. 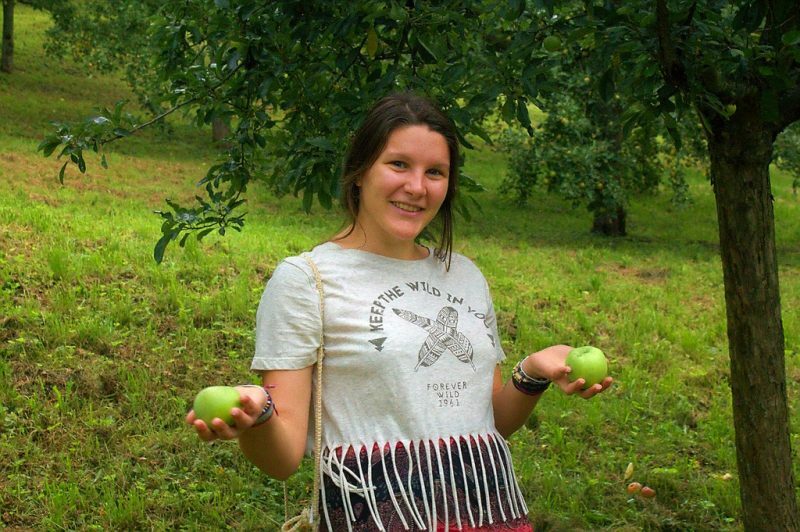 How about some apples, plums or pears to boost your energy level for the upcoming hike? Petřín hill can be seen best from the Charles Bridge. There are two ways in order to reach the top of the hill. 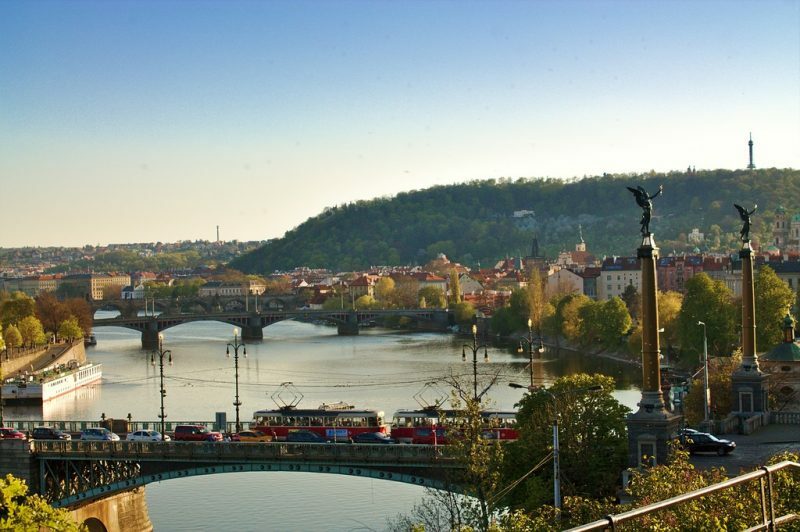 By funicular or by taking one of the many winding trails (the famous one can be accessed from the Charles Bridge). Once you reach the hill, you will find yourself in a never-ending sea of flowers. Get lost in the midst of fragrant rose scents. Have a seat in the love tree or carve the name of your lover in the tree bark. Kinský Garden underneath Petřín Hill reveals a park which provides beautiful activities to spend a summer day. Take the entrance gate of Petřín Hill and follow the trail downwards. 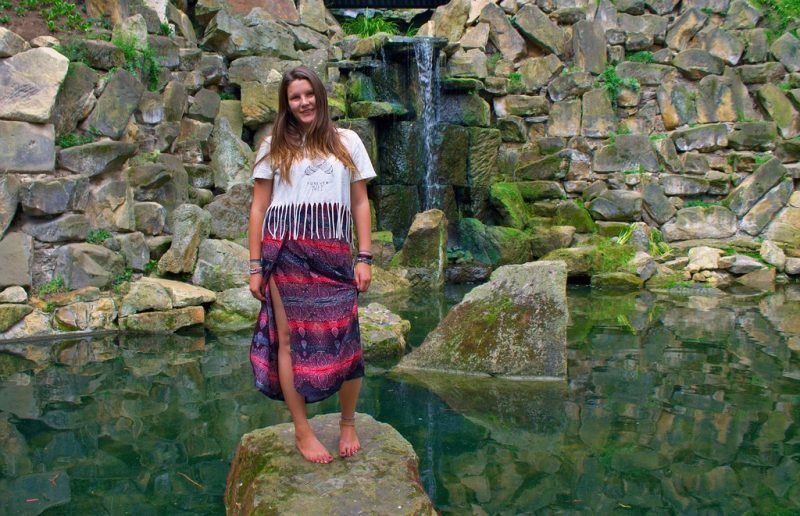 You will pass a natural pool and two more pools which are separated by a scenic waterfall. 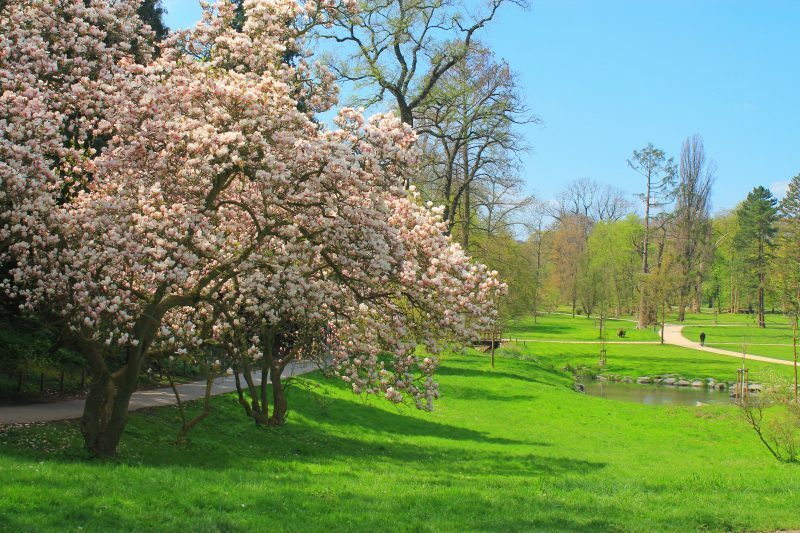 Once you made your way completely down, you can walk through a beautiful park. For a map of the site, have a look here. 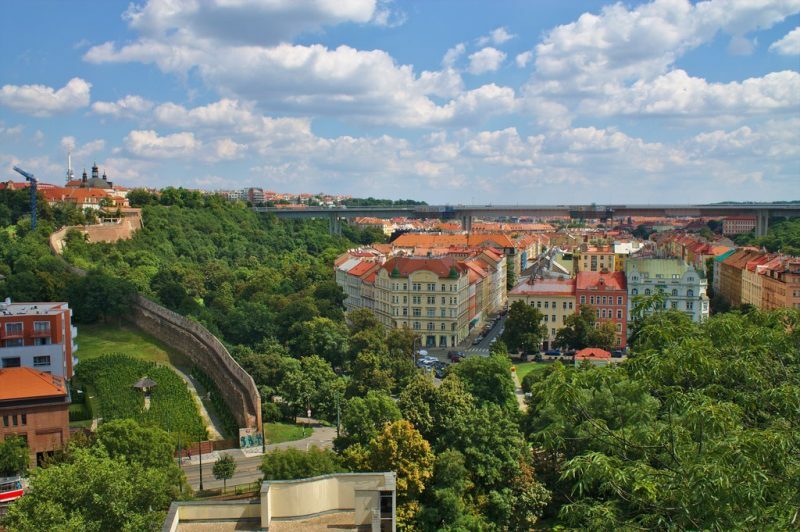 The abundance of parks in Prague shows that this city strives to create green retreats from the loud traffic. Stromovka is our favorite park, located in Holešovice. This place has it all. Possibilities to sit and read, playgrounds for the youngest, kiosks for a little snack and a variety of birds, flying around or swimming in the ponds. 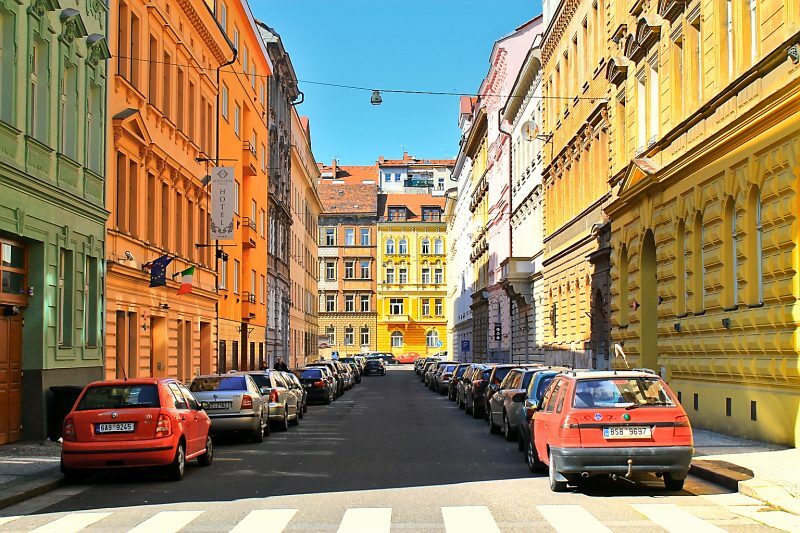 The architecture found in Prague seems like borrowed from a time where elegantly dressed women and men strolled through the cobblestone streets or took a ride in horse carriages. Prague’s old town shows a unique collection of mansions, theater houses and churches inspired by the Baroque era. Especially, pay attention to the top part of the buildings. They’re usually decorated with sculptures, wall paintings and mosaics. The experience of Prague at night will make your trip complete. 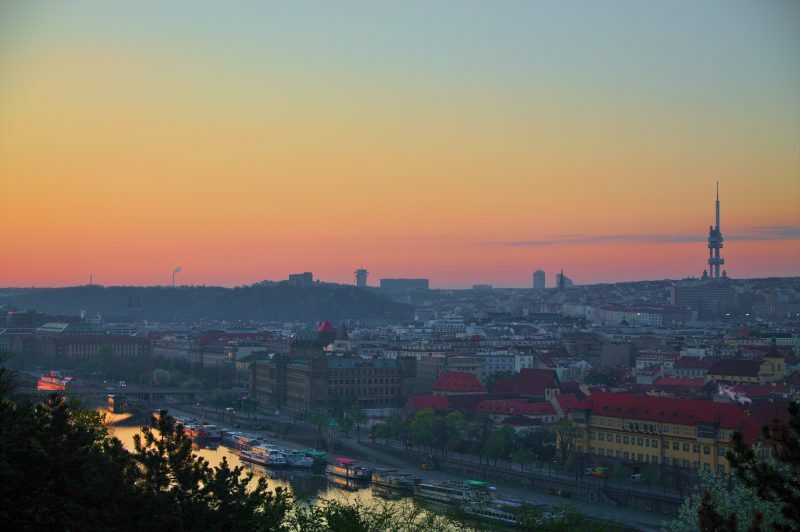 The illuminated skyline with the castle in the background and the many bridges, can be best observed from Náplavka. This riverside is very popular among locals and tourists. Get a drink and have a seat by the water. Embrace yourself with Prague’s magical atmosphere at night. 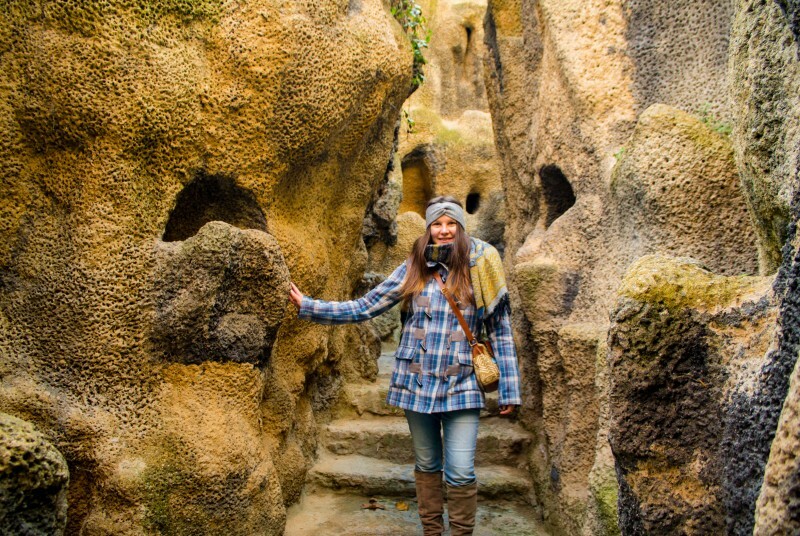 Get lost in the underground passages of the cave shaped Villa Gröbe (Grébovka), a charming example of Renaissance architecture. It’s located in Havlíčkovy Sady Park among vineyards with spectacular viewpoints. 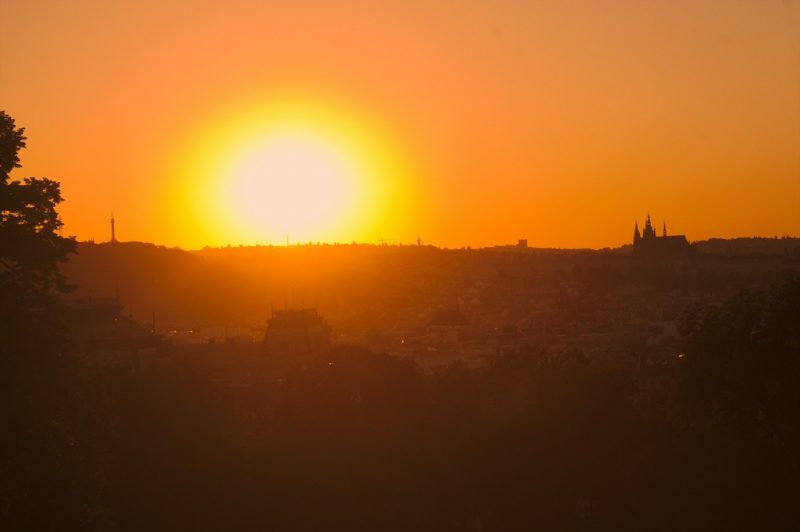 Riegrovy Sady (Rieger Gardens) lies on a hill, overlooking the Castle and Prague’s magnificent skyline that is lit up by the glow of the setting sun. This spot can be sometimes very crowded, so don’t be too late for the sunset thrill. Prague is the center of Europe, they say. It combines the old and the new world. It’s a highly visited travel destination for young and old. A romantic getaway with the love of your life? A fun weekend with your best friends? A historical and cultural tour to the roots of a past era? 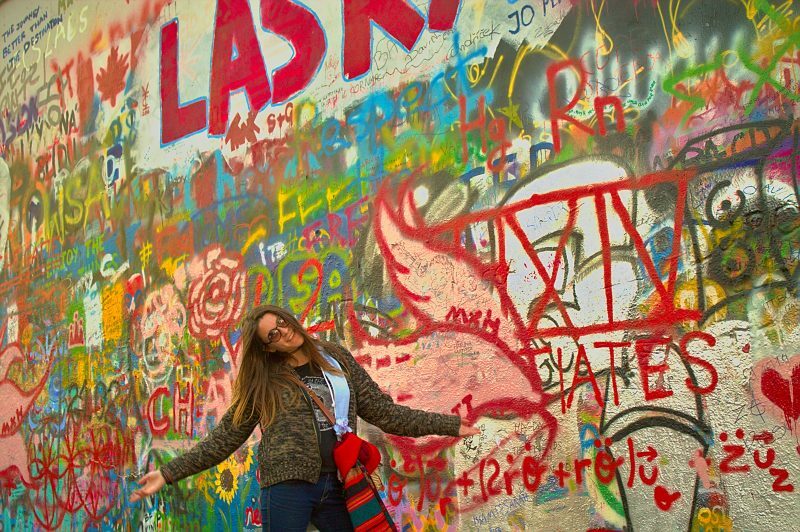 What is Prague for you? Great photos! I’ve only visited Prague once, but it’s such a gorgeous city that I’m dying to return, hopefully it will happen soon! Volg ons op Facebook voor de laatste updates en zie ook onze nieuwe Instagram-account voor nieuwste foto's.